Twitter is testing a new feature that will double the character limit of tweets — which means you may soon have 280 characters to play with. The new limit will be in place for languages that frequently hit the old 140 character max — which, according to Twitter, is all languages other than Korean, Japanese, and Chinese. 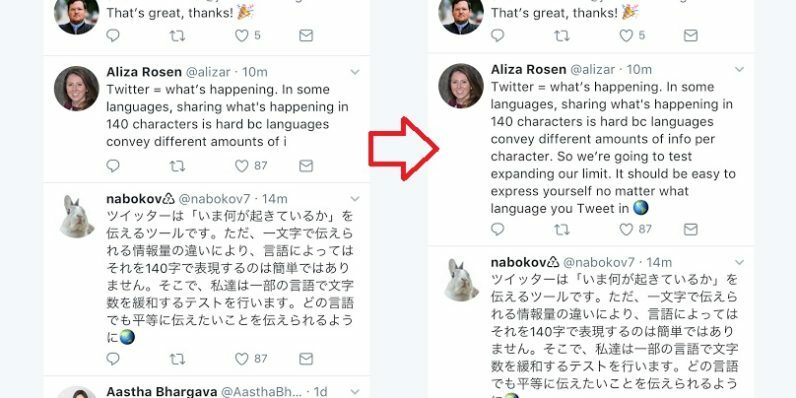 The company’s data suggests users who tweet in those languages rarely hit the character limit — less than one percent of Japanese tweets reach 140 characters. Twitter is currently testing the new limit out with a small group, though it may roll the feature out to everyone if there’s positive reception.